Built on a full-size steel frame with an integral accessory rail. 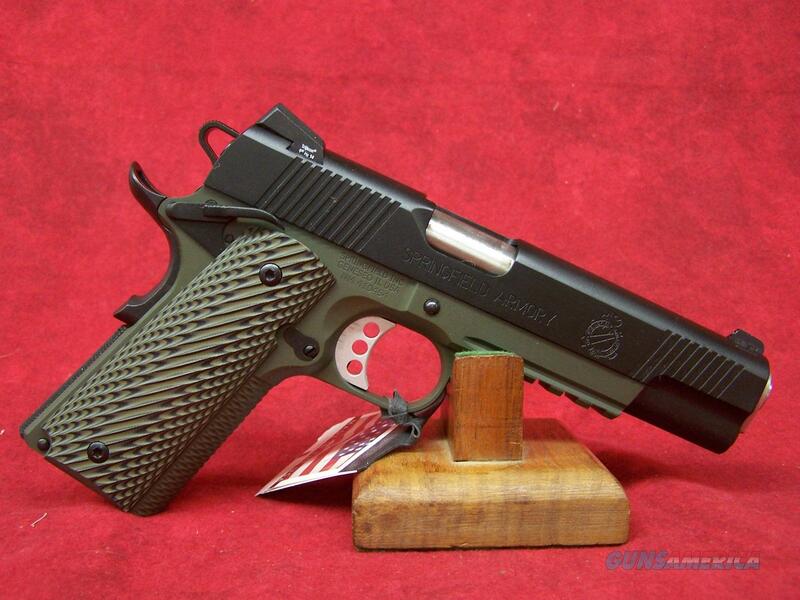 Duo-tone black and olive drab green Armory Kote low glare finish. Barrel is match grade and made from stainless steel. Slide features slanted serrations on the front and rear. Mainspring housing is flat and includes the Springfield Armory I.L.S. Pistol has a Lightweight Delta hammer and a beavertail grip safety which features a raised memory pad for positive engagement. Extended ambidextrous thumb safety and long aluminum match-grade trigger are upgraded features that are standard to the Loaded Series. Fixed combat 3-Dot sights feature tritium inserts. Ejection port is lowered and flared. Fitted with a standard guide rod. Comes with G-10 grips held in place with Torx head grip screws.